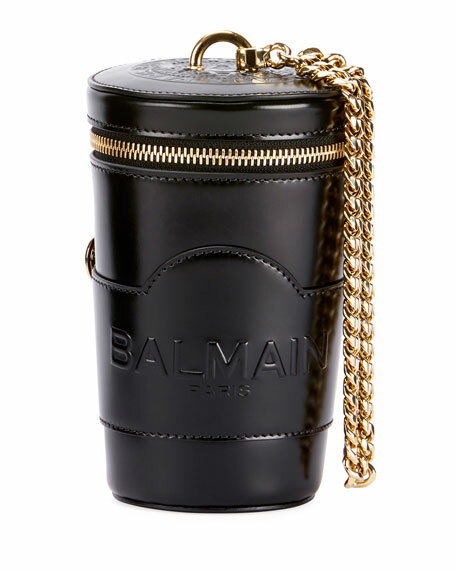 Balmain leather crossbody bag with golden hardware. 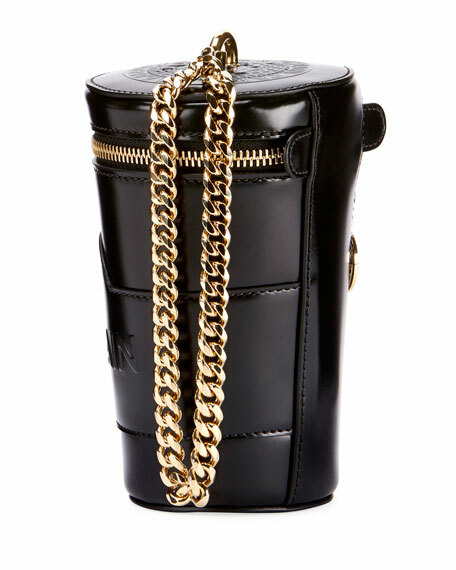 Chain wristlet strap anchored by top ring. 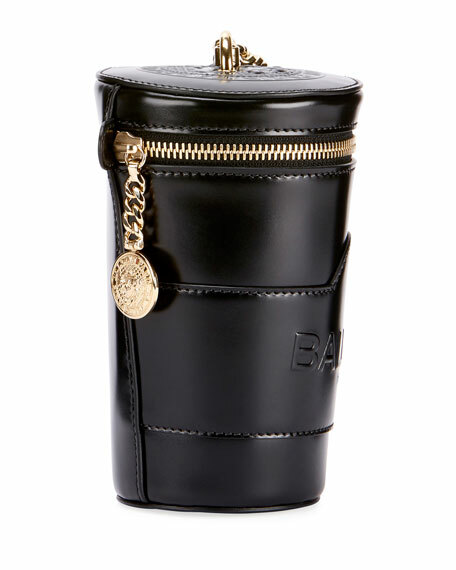 Zip-around top closure with logo medallion chain pull. For in-store inquiries, use sku #2589083.